Clay has been an omnipresent ingredient in skincare for the past couple of decades (but really, since Ancient Egypt) because of its incredible properties for the skin. After a slight decline in trend in the past few years, clay is back and it's everywhere. 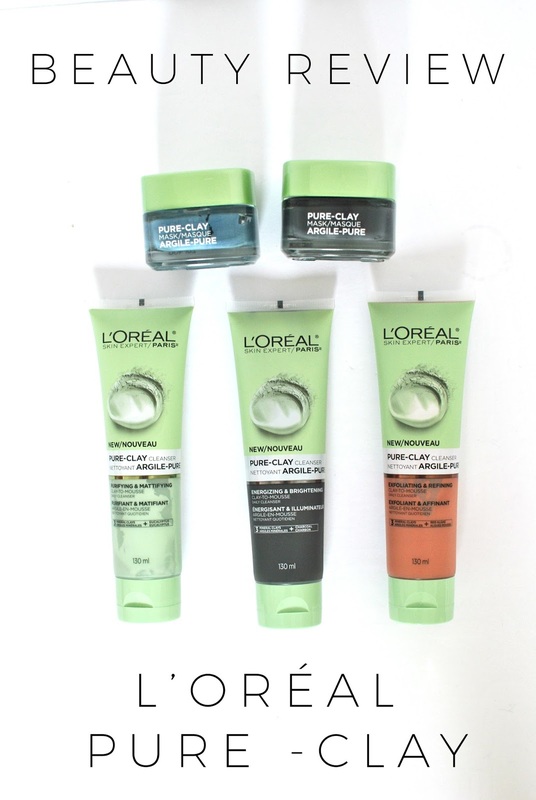 L'Oréal introduced a new line of clay masks earlier this year, and recently came out with a range of daily cleansers formulated with three pure clays (Kaolin, Montmorillonite and Moroccan Clays) to target our skins' specific needs. The green cleanser is formulated with all three clays and eucalyptus to help deep cleaning clogged pores and fight excess oil production for a shine-free, fresh face. The black cleanser combines the clays with charcoal to transform, revive and cleanse dull skin for a radiant and luminous complexion. The red cleanser has a slightly gritty texture and is formulated with red algae to minimize enlarged pores and even out the skin for a smooth complexion. 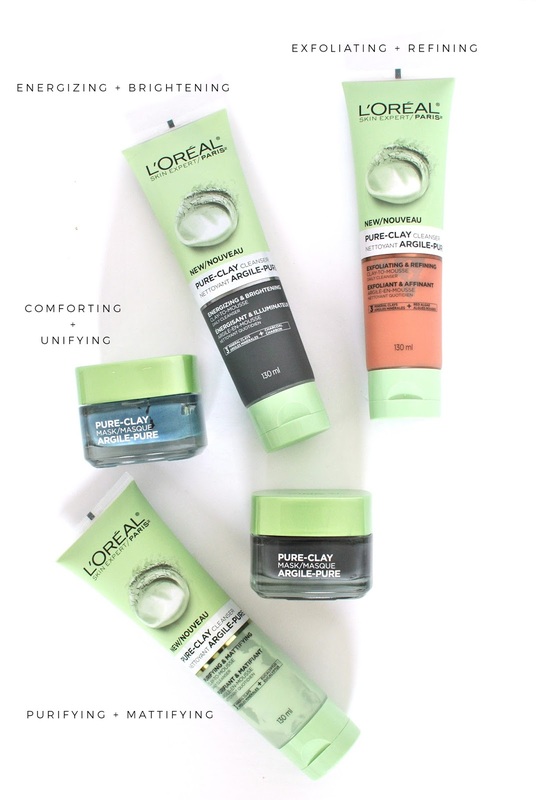 They also added a new mask to the line: the Pure-Clay Comforting & Unifying mask (CAD $14.99 or USD $12.99) is formulated with the same three clays as above, as well as calming seaweed to cleanse gently, soothe and unify sensitive skin. This new addition is a sensitive skin twist on the already-cult Pure-Clay Energizing & Brightening Mask, which features the same properties as the eponymous cleanser, in a mask form. I wish I had more constructive criticism, but the truth is I love the whole range. The masks have become staples in my skincare routine - and that is no small feat, since I am usually too lazy/busy for masks, and a lot of them tend to break me out. Not these ones. They brighten my complexion, tighten my pores and the cleansers feel great on my combination skin. If you have drier or sensitive skin, I recommend you avoid the green cleanser which might be a little agressive. But the other two cleansers are gentle enough, and both masks are fantastic and haven't caused any irritation to my sensitive skin. *These products were sent to me free of charge for review purposes. All thoughts are my own.